Josh Bezoni is a nutritionist, best-selling author, leading health entrepreneur, and philanthropist. He is the co-founder and CEO of BioTrust Nutrition (www.BioTrust.com), America’s #1 all-natural and premium ecommerce nutrition brand. Josh Bezoni is a respected philanthropist, having raised and donated over two million dollars for top-rated charities that focus on helping supply nutritious food, clean water, and improved medical services to families in need, both domestically and abroad. (See details on Charity Work.) Josh Bezoni, Joel Marion, and BioTrust are also one of the top Fundraising Advocates for Make-A-Wish®, having donated over $1 million and funded over 120 wishes for children with life-threatening medical conditions. 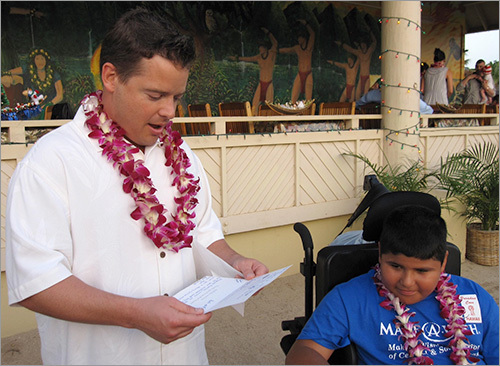 Here Josh Bezoni reads a thank you card while in Hawaii after granting a Wish for Antonio whose wish was to travel with his family to swim with dolphins and explore Hawaii. Antonio suffers from Muscular Dystrophy. What’s more, Bezoni and BioTrust have also donated over 1.5 MILLION meals for hungry children in need through their partnership with NoKidHungry.org. BioTrust donates a nutritious meal to a child for every order placed with the company. Josh Bezoni has appeared on virtually every major TV network, including ABC, NBC, FOX, CBS, The Travel Channel, and many more, promoting his “Belly-Fat-Free” lifestyle and weight loss tips. Josh Bezoni is a certified nutrition specialist, and he graduated with honors in Biology while fulfilling his pre-med requirements from the prestigious University of Central Iowa (Central College). However, instead of attending medical school, Josh Bezoni decided to help people improve their health before getting sick as opposed to after, by beginning his career as a nutritionist for his health and fitness mentor, Bill Phillips, at his nutrition companies EAS, Muscle Media Magazine, and the #1 New York Times best-selling fitness book of all time, Body-for-LIFE (4 million copies sold worldwide). and Josh's annual Fit Fest conference in Austin, Tx. At EAS, Josh Bezoni assisted in developing nutrition programs and products used by top athletes, including Hall of Fame Quarterback John Elway, members of the Super Bowl Champion Denver Broncos, and A-list celebrities like Demi Moore and Brad Pitt. 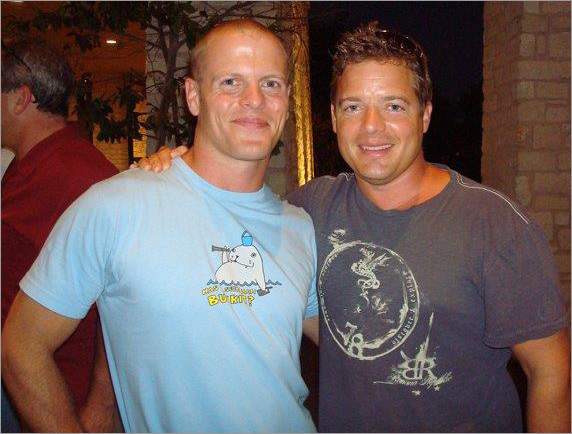 After leaving EAS, Josh Bezoni authored two best-selling fitness books. 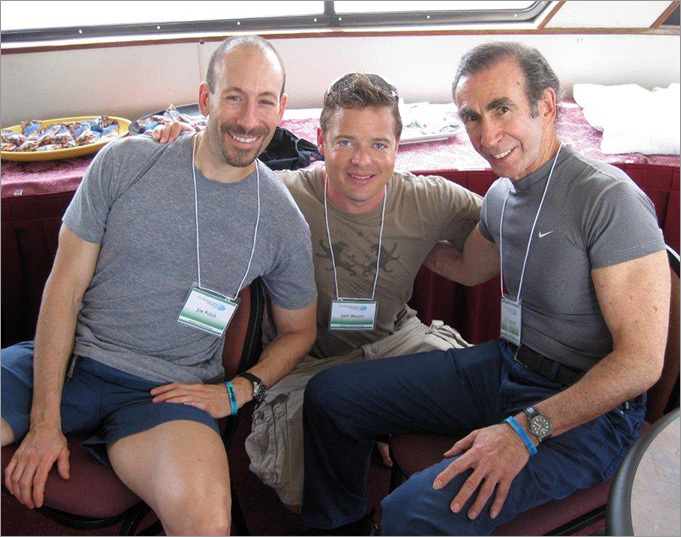 He has helped over one million men and women lose weight and improve their health through his innovative nutrition strategies and programs. As a health entrepreneur, Josh Bezoni has founded and built two nutrition companies that have sold in excess of 400 million dollars of his premium-quality health products, making him one of the most successful fitness entrepreneurs in America, while still in his 30’s. business mentors, Joe Polish and Joe Sugarman. Josh Bezoni’s newest venture, with partner Joel Marion, is BioTrust Nutrition (www.BioTrust.com), one of the fastest-growing nutrition companies in America. BioTrust develops and distributes a natural line of premium dietary supplements and healthy food products worldwide. To contact Josh Bezoni regarding speaking engagements or media appearances, please email admin [at] biotrust.com.